LE66, the fashion concept store from Paris, officially celebrates its launch in Dubai at City Walk 2 on November 22nd. The event which opened with a ribbon cutting ceremony lead by His Excellency Mr. Sami Dhaen Al Qamzi, Director General of the Department of Economic Development. 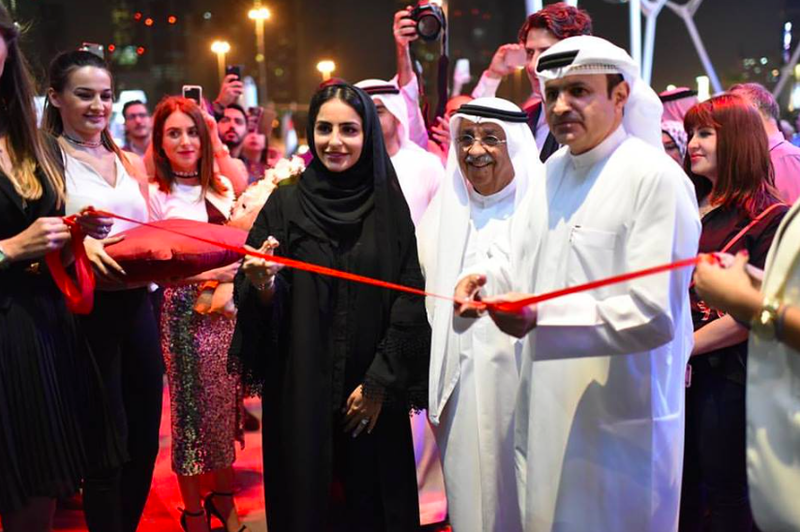 The store, headed by Mariam Al Hashemi and operated as a franchise by Dual Investments, hosted the launch which drew a crowd of Dubai’s discerning media, fashion elite and VIPs. The elegant black carpet led guests into the dynamic space where they were spoilt for choice on where to rush to first. Mohammed Sultan, Essa Walla and Mona Saqr were amongst the crowd in store browsing through the carefully curated collection and LE66 t-shirt customizing station. Local artists DrawDeck created a bespoke piece of artwork in real time for the store’s launch to add to the already stylish setting. Along with a selection of international brands, LE66 features Middle Eastern trend-setters such as AKS, the label created by Bahraini sisters Amna and Asma Khaled Saif who were also in attendance. The sisters are known for their self-taught passion of architecture and urban landscaping which reflects through all their collections. Other renowned local brands include Reemami, the brain child of award winning designer Reem Al Banna, which has been recognized for its signature experimental cute, playful concepts and hand illustrated graphics. “I feel the launch captured people’s imagination and allowed them to understand my vision when it came to bringing LE66 to Dubai. Whilst choosing the pieces in store I made sure to select those that were not readily available here. The European aesthetic acted as an outline for the concept but having regional designers was extremely important in order to draw attention to the skilled artists of the region,” said Mariam Al Hashemi.